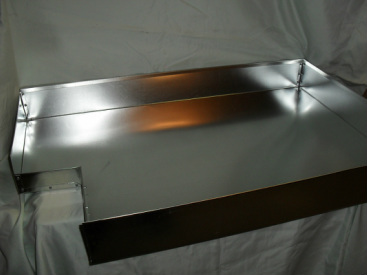 Trays are constructed with 28 Gauge Galvanized metal. E-mail us for quote, we can custom make it for you! ONLY AVAILABLE IN 28GA GALVANIZED METAL. 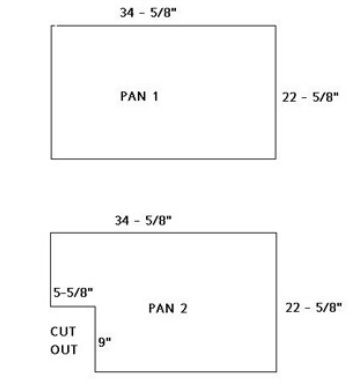 STANDARD HEIGHT 3 1/2".